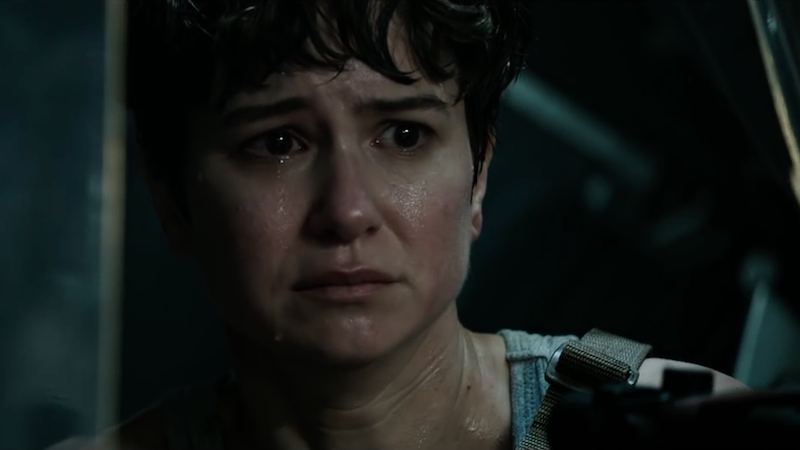 Empire has released three new images from Alien: Covenant, and each one contains a different kind of danger. We’ve got technological, biological, and what I’m betting is a conspiracy from a rich guy. The first image looks like a flashback with either Walter or David (both robots played by Michael Fassbender) with Peter Weyland. I’m betting it’s David because David’s the one who was part of Weyland’s quest to conquer death in Prometheus. I’m also betting there’s more secrets and dangers being carted around in David’s head. The second image shows what looks like an Engineer letting lose a giant number of pods on a planet. Swarms of alien technology cannot be a good thing. If the planet below is the one in the movie, those pods have really changed it. Yeah, things are not looking good for anyone on the Covenant. We’ll know for sure on May 19.